There’s a reason that recreational users of psychedelic mushrooms have long referred to the fungi as “magic.” And it turns out, it could be for more than just the euphoric high. According to a study published in Scientific Reports conducted by Imperial College London, researchers found evidence that suggests psilocybin, the psychoactive compound of magic mushrooms, might also be useful in treating depression. For the study, researchers focused on 19 patients, all of which experienced treatment-resistant depression. Each patient showed less depressive symptoms at the one-week post-treatment mark. It is important to note that while the findings are exciting, this study is very preliminary as it was based on a small number of people and with no control sample. “We have shown for the first time clear changes in brain activity in depressed people treated with psilocybin after failing to respond to conventional treatments,” lead author Dr. Robin Carhart-Harris, head of psychedelic research at Imperial, said in a statement. Each patient in the study was given two doses of psilocybin – the first dose at 10 mg administered immediately, the second dose of 25 mg was given one week later. Results showed that patients reported feeling recharged after the experience. “Several of our patients described feeling ‘reset’ after the treatment and often used computer analogies,” Dr. Carhart-Harris reported. “For example, one said he felt like his brain had been ‘defragged’ like a computer hard drive, and another said he felt ‘rebooted’. As part of the study, researchers performed functional magnetic resonance imaging (fMRI) on 16 of the 19 patients both before and after treatment. The scans indicate a reduction in cerebral blood flow towards the temporal cortex, in particular, the amygdala. This decrease in blood flow to the amygdala was related to a decrease in depressive symptoms. The MRI also showed increased stability in another brain network linked with depression. The team is very encouraged by their results and plan to run a comparative trial in the next year to test the effectiveness of psilocybin against leading antidepressants. 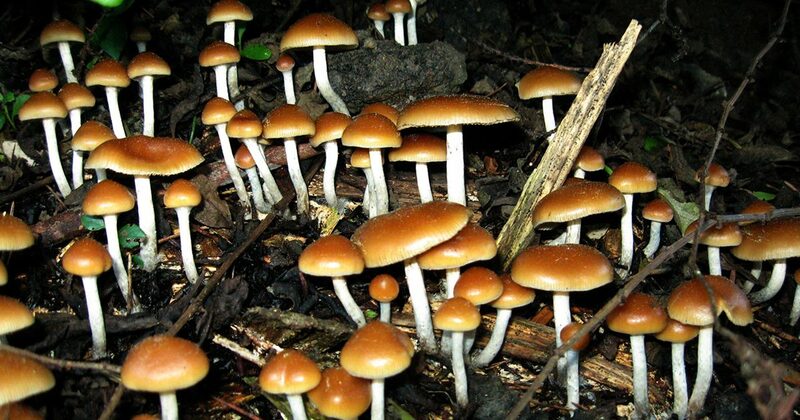 It appears there may be more magic in mushrooms than what we previously understood. We’d love to hear your thoughts on the findings and if you found this article interesting, please share with friends and family by clicking the button below.